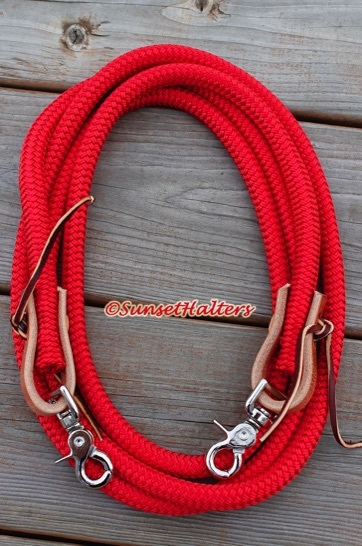 These are manufactured from premium American made 1/2" yacht braid rope. 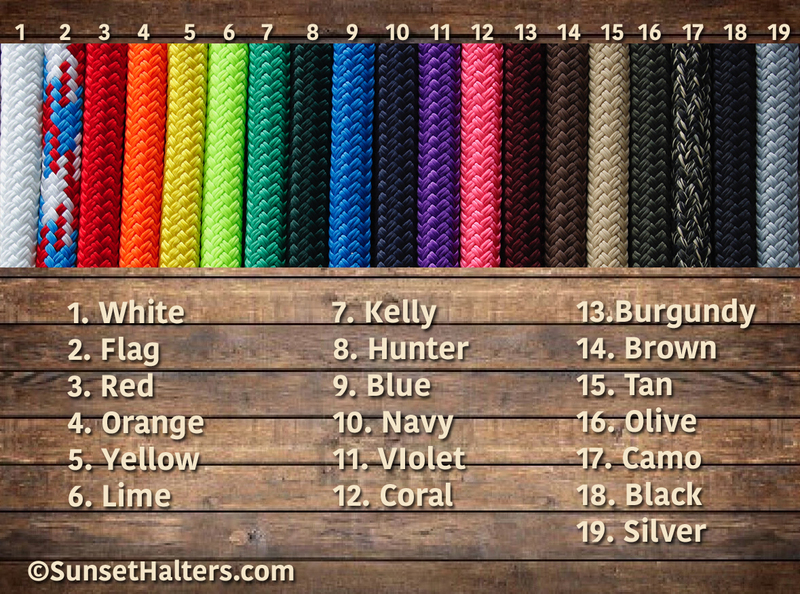 This rope is made from polyester, so it's abrasion, rot, mildew and fade resistant. It's also very easy on the hands, and very durable. Included in this set are weighted ends with Weaver water tie straps and scissor snaps. If you're not sure about length, use a piece of twine, find a comfortable length on your horse, and measure. Surprisingly, the average trail horse will usually needs 9-10ft reins.